When Highland Grow first started growing, they installed traditional high-pressure sodium (HPS) lights. They quickly ran into challenges in their growing rooms. The HPS fixtures frequently caused the rooms to overheat and dry out. As a result, the plants were not producing consistently dense buds. Frank MacMaster, President of Highland Grow, began to search for a lighting solution that would allow him to reach his quality goals. Biome, Highland Grow’s parent company, has long been a proponent of LEDs, so it was natural for them to suggest LED horticultural lighting as a solution. Frank was initially skeptical of LEDs. In the past, he’d heard that the technology wasn’t suited for growing cannabis yet. 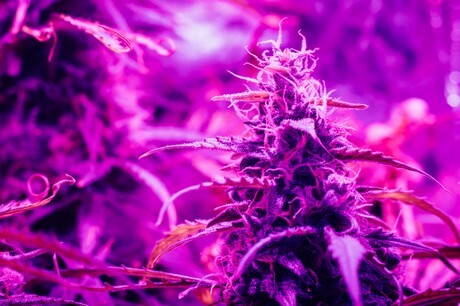 When several growers that Frank trusts recommended LumiGrow, he started to seriously explore switching to LEDs. It soon became apparent that LEDs emit far less heat than HPS and draw 40% less energy. LumiGrow’s user-friendly smartPAR Wireless Control System and attentive customer service quickly set them apart from the other major LED manufacturers. 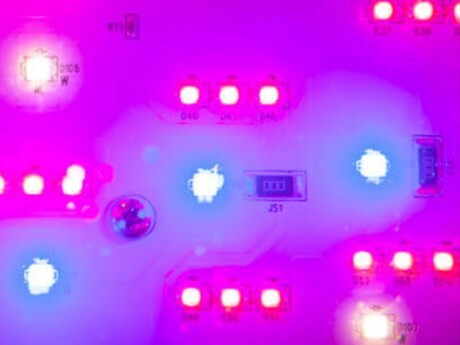 Highland Grow implemented LumiGrow fixtures with the LumiGrow smartPAR Wireless Control System in their vegetative growth, flowering, and mother rooms. Frank has carefully performed his due diligence, meticulously testing the LumiGrow fixtures side by side with HPS before rolling out LEDs across each room. For their first grow, Frank grew half of the flowering room under LumiGrow LEDs, with the other half under the HPS fixtures. He was pleased with how well the plants grew under the LEDs- the buds were substantially denser than the HPS-grown buds. Since strain selection is important, Frank proceeded to test a variety of strains under the LumiGrow lights. Each strain consistently produced dense, high-quality buds. Highland Grow is currently on its fourth grow under LEDs. Frank quickly switched the flowering room over to 100% LumiGrow LEDs. He is currently using three custom spectral programs for flowering. He starts with a lower-intensity program to ease the plants into the flowering stage and make any necessary environmental adjustments. After closely monitoring the plants for around 12 days, Frank applies the high-intensity flowering program that his plants will grow under for another 50 days. In the final few days of flower, Frank applies a finishing program with a high blue-to-red ratio to help the flowers retain more terpenes and THC. Frank has tried growing his mother plants under several other types of light but has continually been dissatisfied with the results. His plants grew slowly under the T5 bulbs, so Frank switched to HPS. However, he found that the HPS fixtures created an uneven spread of heat, which resulted in uneven plant growth. In sharp contrast, Highland Grow’s mother plants are thriving under LumiGrow spectrum. The mother plants produce 20-25% more branches under LumiGrow spectrum than they did under HPS. This ensures that Highland Grow always have enough young clones on hand to cycle through the vegetative growth rooms. Highland Grow is currently fine-tuning their vegetative growth room’s spectral program, with the goal of shortening crop cycle and improving root growth. Frank has noticed that once the young plants establish themselves, the LED-lit plants tend to grow faster than their HPS-lit counterparts. He currently runs the lights for 20 hours, then lets the plants rest for 4 hours. The vegetative growth phase currently takes 3-4 weeks, depending on the strain. Frank is still learning how each strain responds to LumiGrow spectrum and is experimenting with using new spectral ratios to control plant morphology under LumiGrow’s guidance. Like other flowering plants, cannabis responds to red light by stretching more and responds to blue light by remaining more compact. Thanks to Highland Grow’s success growing with their LumiGrow fixtures in Nova Scotia, their facility in Ontario is moving ahead with installing LumiGrow LEDs as their primary source of lighting. Recently, Highland Grow started training employees from their Ontario facility on how to grow with LumiGrow LEDs. The goal is to prepare them for when they receive their cultivation license so that they can come to market with high-quality LED-grown flowers. All future Biome facilities in Canada and International markets will now employ LED lighting following this successful validation at the Highland Grow facility. Frank is proud to be leading the way for LED-adoption in the cannabis industry.